You will add many Cheats: Unlimited Health , Unlimited Community Survivors Health , Unlimited Stamina , No Fatigue and many more. Welcome to the trainer's page of State of Decay 2 You will surely be satisfied with the material we found, as this is a site completely dedicated to the trainers and tricks of video games. Not only that, we can also offer you the tricks and codes of this game! 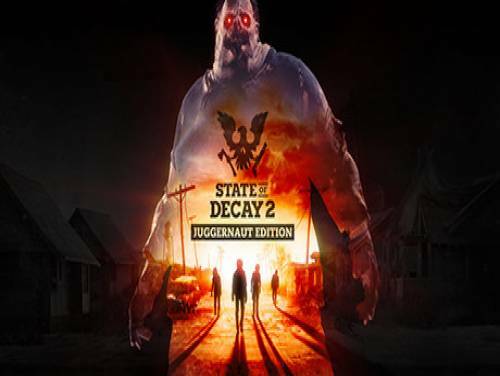 See the tricks of State of Decay 2 of apocanow, that is a selection of cheating and strategies to overcome any hostility the game puts you in front of you, together with the tricks you can also find the list of Objectives and Trophies and how obtain them. The events related to State of Decay 2 is positioned temporally 18 months after the predecessor; the army has lost, deserting and leaving helpless the few refugees scattered around the city and the countryside. The undead, however, are becoming with every day that passes, more and more hungry, and numerous. As if that weren't enough, a infection known as the Plague of Blood has infected many of them, making them even more dangerous and, above all, the contagious to the people still alive. These infected zombies are recognizable by their continual dripping blood and be bitten more times from them, is to risk contracting the same disease and, consequently, exposing itself to a possible transformation, he fails to treat in time. The program you are about to download was not created by Apocanow. However, we have permission to publish and publicize by the authors of the Trainer State of Decay 2 Trainer - v03.27.2019. The contents of the file are virus free, even if sometimes they can trigger the AV as false positive. group of survivors has unlimited health. Numpad 3: Unlimited Stamina - toggle on and your stamina remains full. very quickly, which will engage the Specialize prompt. will never run out when you shoot them. use to melee attack with will never break. use as a gun to attack with will never break. you pick them up or place them into the inventory weigh nothing. items into your inventory, your total weight is 0.
and building your bases quickly. crafting item, they complete almost instantly. still need to have the proper specialization.